I've always been intrigued by the interaction of the senses. For years, I've been visiting and revisiting sections of Diane Ackerman's "A Natural History of the Senses ," and I'm consistently fascinated with her explanations and insights. I'm also taken with the concept of synesthesia - the idea that we can hear colors, or see sounds. I've always experienced music this way, especially in terms of colors. In my world, most jazz tunes are bright red or muted yellow; the music of Bruce Springsteen is blue and violet; the Saturday Night Fever era Bee Gees, a bright purple. I was recently reading up on Joni Mitchell's beautiful 1974 hit, "Help Me," and I was struck by this quote from the "Page a Day 365 Tunes Calendar": "It simmers on the verses, an on the bridge --when Joni an her backing singers repeat 'Didn't it feel good?' -- it erupts into a convergence of guitars, woodwinds, and sax that hits your ear like Pop Rocks in your mouth, tangy bursts of tonal color fizzing around everywhere." It's an amazing description that perfectly captures the essential experience of the song across multiple senses. Some musical elements are best described in terms of sound. Tom Waits' voice is raspy, Sade's smooth and mellifluous. Trumpets blare, and a Les Paul through a Marshall amp sounds pretty much like a buzzsaw. Other sounds, though, defy description through auditory means alone. Cat Stevens is a great example of this. I guess it would be fair to say that his voice is pretty, or emotional, passionate, and rich. But, at the most intense moments, it cracks and crackles imperfectly; I'd imagine that a voice teacher would attempt to iron these wrinkles out of Yusuf Islam's vocal quality. And, on "Father and Son," you can hear him struggling awkwardly, almost comically, at the upper end of his range. With all of its flaws and inconsistencies, though, Cat Stevens' voice can really reach beyond your ears and into your soul, triggering emotional longings you didn't even know you had. 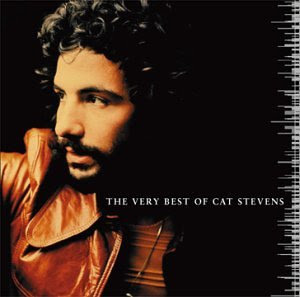 That's why I like think that Cat Stevens has a voice like chocolate - dark chocolate. Like dark chocolate, it's bitter, it's sweet, it's good for you, but if you consume too much of it, you'll feel the repercussions in the pit of your stomach. Do you have any musical flavor comparisons? Feel free to share them in the comments. Johnny Mathis has a voice like Jello. Wasn't that a line from some tv show? Regarding Cat Stevens, I've recently been watching a lot of his videos (old and new) on Youtube. He really is fantastic. I think the thing that really makes me appreciate his music is the sincerity with which he sings. He seems to have a knack for invoking many emotions through his music. Great stuff. I love that Johnny Mathis line. Wasn't that Eddie Murphy who said that? Isn't that from the routine where he pretends to be Johnny Mathis singing about "Lemonade, that cool refreshing drink"? I had a student who is a synesthete. If I remember correctly, percussion instruments appeared to him as orange and the range of instrument types continued through the spectrum. He also had 'perfect pitch', but interestingly, he could not concentrate on say a test if he heard music, especially if it was off key. I've read some interesting articles and the Discovery Channel has an interesting documentary- including a man who tastes when he hears certain words. It's until you consider this that synthesthesia seems really cool. I love that Johnny Mathis line He seems to have a knack for invoking many emotions through his music. Great stuff.